When doing data analysis you don’t always have to resort to Excel or Hadoop. This post shows a simple way to do Pivot tables, which is extremely common when looking to analyze data. Version 2 includes new query operators for matching JSON documents, and you can now get up and running fast with a simple Docker image. Most running Postgres know to tune shared buffers, but if you’re on Windows there’s one more setting to pay attention to. This article demonstrates using update_process_title for significant performance gains on Windows. Itching for a rewrite? 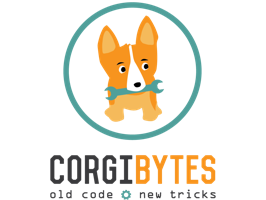 Try a Code Inspection™ from Corgibytes first. We know the frustration. You see all the places your app could be so much better, but you can't seem to convince your boss. Next time, mention Corgibytes. Our Code Inspection™ can help you explain technical improvements in a way executives can understand. Streaming replication is the official approach from much of the community, which streams updates over the write ahead log to another instance. This guide provides a good overview of what you need to know and how to get started. BRIN (or block range indexes) can be useful on large tables in certain cases, depending on the data and what you need. Here’s an explanation. A 50 minute podcast chat about the recent story on Uber’s switch from Postgres to MySQL. Collation isn’t something you always need to worry about, but if ignored on a fresh OS install, it can bite you later. Here’s some advice on how to set up collation correctly when starting anew, and the impact it can have. For a long time Django lacked native migrations, instead developers opted for an add-on library. Now it’s fully integrated but there’s still more you can do than just what is labeled on the box, such as executing custom migrations as highlighted here. Works for both new and existing tables, with no downtime and minimal app changes.